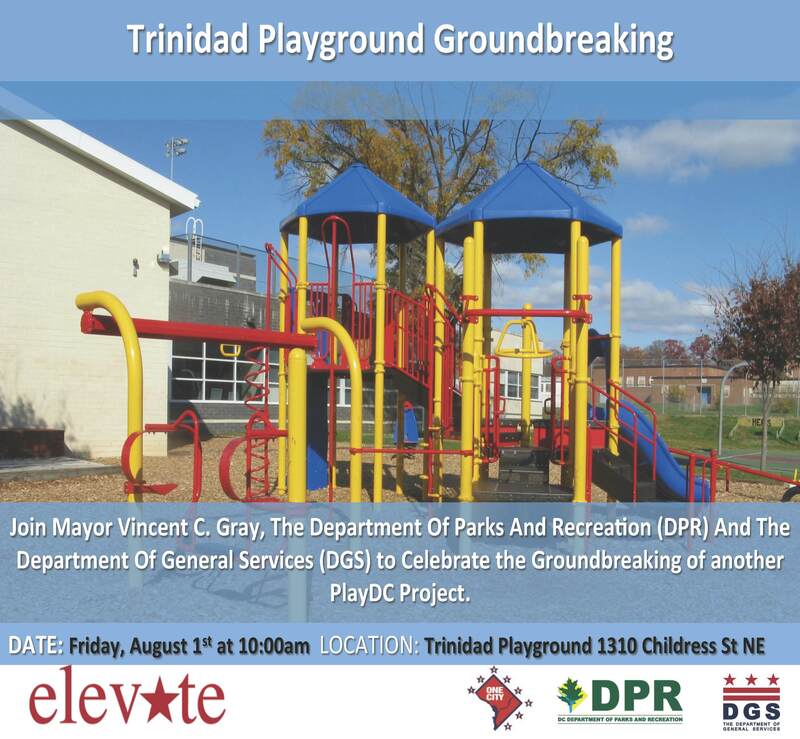 Join Mayor Vincent C. Gray, the Department of Parks And Recreation (DPR) and the Department of General Services (DGS) to celebrate the groundbreaking the new PlayDC Project at the Trinidad Rec. Center, 1310 Childress Street NE. Friday August 1, 2014 at 10:00 AM. Please join us on Tuesday, July 22, 2014 7:00 PM at the Trinidad Rec. Center! ASL/English Interpretation will be provided by a Trinidad resident. A big thank you to Gallaudet University for sponsoring our flyer printing.